What do I need to do to make this work? Is there any downside. Thanks so much. Other than this problem, Ooma works perfectly. It works for me. I have my ooma behind my router for almost a year now. I was on DSL with 1.5Mb down/256Kb up, and recently I jump on Comcast cable with 10+Mb down/3+Mb up. There is no down side, unleast you don't know how to setting up QoS on your router. 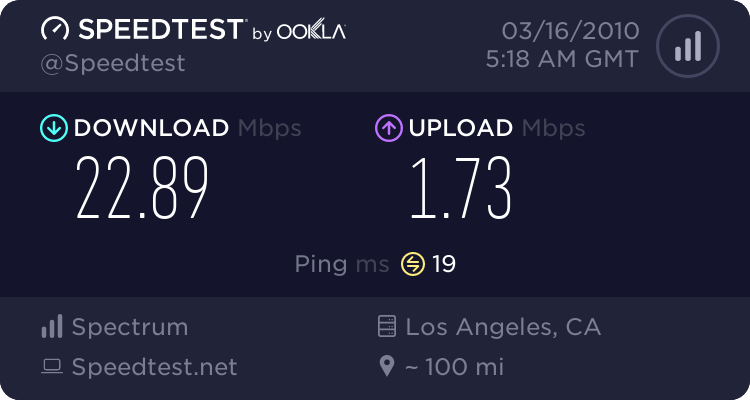 However, with the speed of your connection, you're ok even without QoS except that you are a bittorrent heavy user. Search the forum. Ooma works behind the router well. In fact, imo that's the optimal setup. But you need a router with QoS function that prioritizes outgoing ooma traffic. Otherwise you may have choppy sound when your network is loaded. I set my Telo behind router. I reserve a IP for Telo's mac address with my router's DHCP then simply DMZ that IP. It worked very well. Works fine with Ooma in front of the router too. I got my ooma hub between the cable modem and the router and it is working fine (not limited in download or upload speed). When I set up the ooma hub, I was a bit worried though since just a couple of days prior, when I setup my new router, my download was limited to less than 1Mbps and I had to resolve this through router's "clone pc mac address" option. I thought that if I plug my ooma hub into the cable modem before the router, I would have this download limit problem too but I didn't have the problem. I followed wendavid's directions and did the DMZ thing for the Ooma's IP address. Worked like a charm. I just feel better having my cable modem go directly into my new N Router, with no chance of anything slowing down the signal. Ooma works great. Thanks to all those who answered.